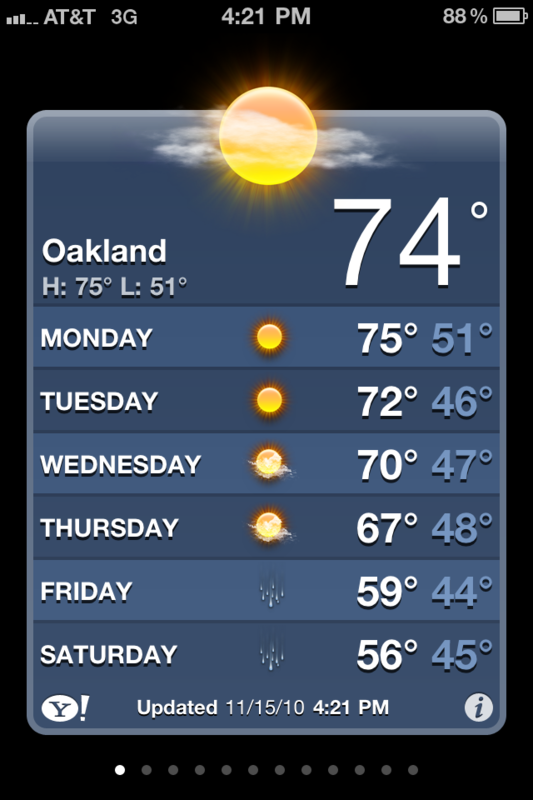 Don't know if I can blame this one on global warming but it was a crazy November 15th weather-wise in Oakland. 74F at 4:21pm (as high as 78F earlier that day). Sorry Seattle folks! It's a slow but nice President's day. 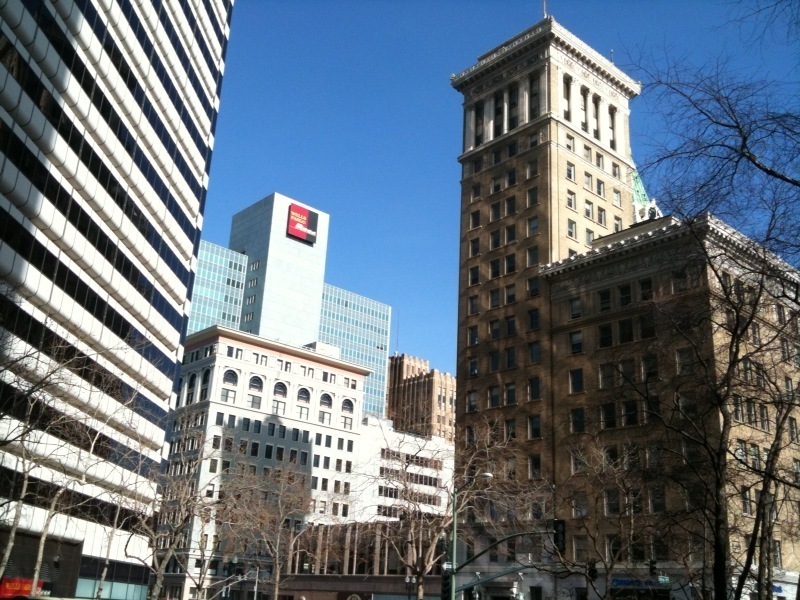 Weather is perfect here in Oakland. About mid-60's, sunny, very light breeze. 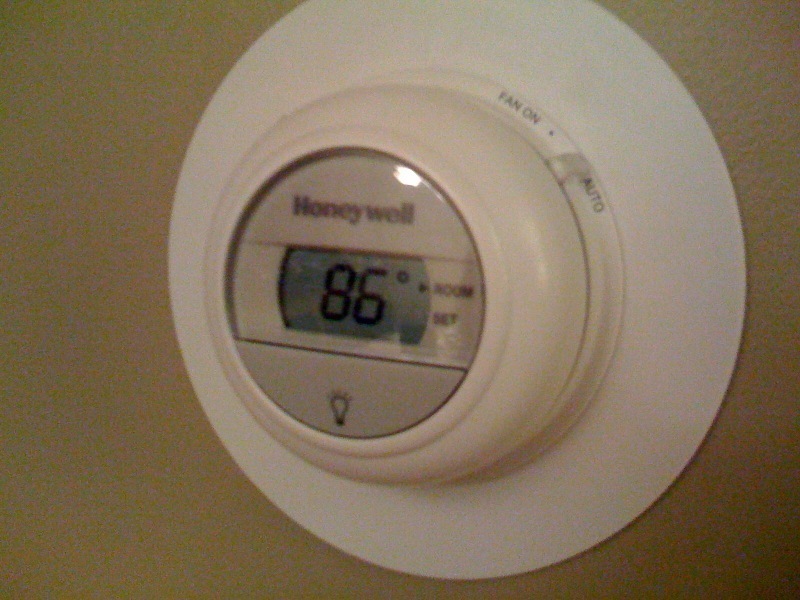 10:14pm - Oakland, CA - 86F. All the windows are open including our sliding door to the balcony. My cat is parked right in front of the screen door. Too bad he can't take his sweater off.